I’ve received a few really cool press releases the last couple days and wanted to share them with you. This includes an all-female-brewed-beer and some new beers from Elevation. I’ve also heard some news about a new brewery so I’ll include that here too. 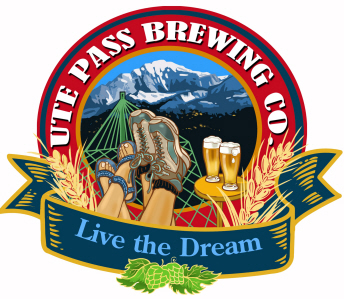 The CS Indy broke the news recently that Ute Pass Brewing will open soon in Woodland Park. The brewery will be the third brewery addition to our small entry-to-the-mountains town, joining Bierwerks and the very recent Paradox Beer Co. The project, led by Todd DeRemus and Scott Jones, will hopefully open in March as a tavern and will eventually serve their own beer. In the photos on their website, it looks like they’ve already got some used equipment ready to go. We’ve been in touch with the Todd and we should have a bunch of new information for you all soon. Elevation Beer Co. releases some new beers. Elevation plans on releasing Third Base, a traditional Belgian tripel in its Black Series of specialty seasonal beers, and False Summit, a Bourbon barrel-aged Quadrupel, in it’s Double Black Series of seasonal barrel-aged beers. Okay so this relates less to the Southern Colorado breweries that we usually focus on, but we’re huge fans of Bess Dougherty at Wynkoop and we love that women are taking on more and more roles in the brewing industry, so this is absolutely worth mentioning. Here’s a list of all the women brewers that participated: Natalie Lesko of Funkwerks, Sydney Skilken from Denver’s TRVE Brewing, Linsey Cornish of Odell Brewing, Reva Golden from Twisted Pine, Ashleigh Carter of Prost Brewing, Bess Dougherty of Wynkoop Brewing, and Melissa Antone and Sara Ferber from Avery Brewing. 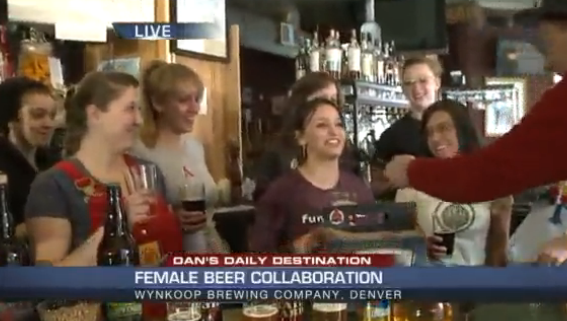 Today [Feb.26] we’re making Colorado beer history with the first all-female-brewed collaboration beer in Colorado. The beer (a Belgian-style pale ale) is being brewed by our own Bess Dougherty and number of other women in the CO craft beer scene. It will be the official beer of the upcoming debut of Colorado Craft Beer Week, March 18-24. It’s a Belgian-style pale ale of 4-5 % ABV made with input, artistry and labor from the women involved in the brewing of the beer today. Some of the participating brewers provided ingredients for the beer, and Brewers Supply Group provided the base malt for this one-time-only, super-limited-release beer.